How to Spend the Winter on a Cruise Ship – Snowbird Tips! Spending the winter on a cruise ship may not come to mind as an option for most Canadian snowbirds - but it’s growing trend! More and more snowbirds are opting to take a “world cruise” or extended voyage on a ship, rather than stay put in a single warm location for the winter. World cruises don’t always literally go around the world, but they do cover large areas of the world on voyages of up to 120 days. Alternatively, if you don’t want to be on board a ship for longer than three or four weeks, there are many extended cruise ship voyages – or segments of cruise ship voyages - you can take. Too expensive you think? Not necessarily. When you add up all the costs of going away for three months or more - including carrying costs of owning your own place or renting, transportation, gas, food, dining out, entertainment etc. - living on a ship can be quite competitive. This is especially true if you shop around and don’t pick the most expensive luxury line or the largest suite on the ship. Travel industry experts agree there’s a growing demand among Canadian snowbirds for long term cruising in the winter. Snowbirds who take these long cruises often have friends and family join them for a one or two week segment along the way. Cruise lines are actively marketing these long term voyages to snowbirds, boomers and retirees, and there are many itineraries to choose from on a variety of cruise lines ranging from the top end luxury lines to more affordable lines. According to Lee, there are often incentives for taking longer cruises between January and April, depending on the cruise line and the length of time booked. Such offers can include a shipboard credit, gratuities and Wi-Fi so keeping in touch with those at home is a breeze. Sometimes reduced airfare or free airfare may be offered as well. 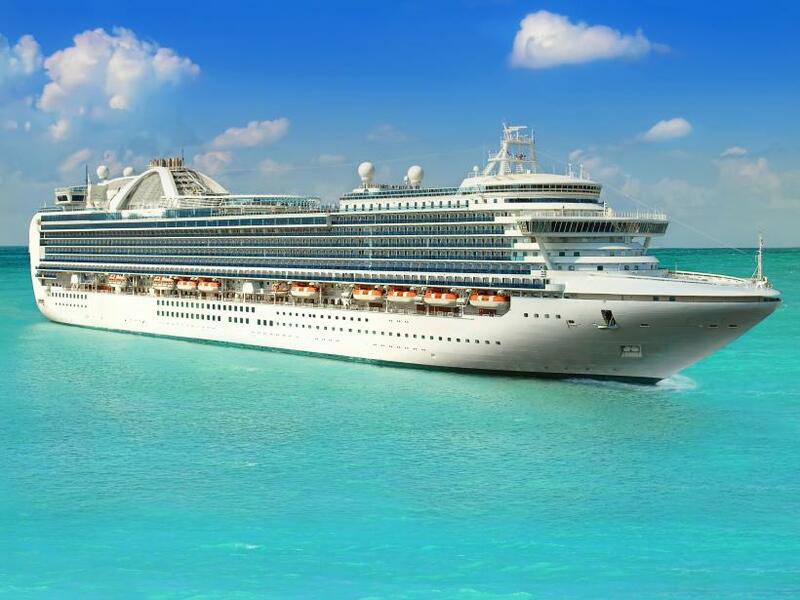 The costs can vary tremendously depending on the cruise line, your cabin choice, length of the cruise and whether you are taking advantage of special promotions. Depending on the cruise line, rates for a “world cruise” or extended voyage vary from about $22,000 USD to as high as $250,000 USD – but that would be the extreme. Remember, all your meals are included, but not your drinks on most cruise lines, so you may run up a bar bill for all alcoholic and soft beverages. There are some lines that include alcohol as well, and even include shore excursions. “Overall, world cruises do offer a great value for money, especially on the contemporary and premium brands. For luxury brands like Crystal, Silversea or Regent Seven Seas Cruises - where they are truly all-inclusive with gratuities, liquor, fine wines and often shore excursions included - the price can be much higher. But in these cases, there are far fewer extra costs to take the per diem up. “advises Lee. It is very important to compare apples to apples when looking at pricing and your best bet to do this is to use an experienced travel agent who specializes in cruises. There are so many options and different itineraries, and travel agents have access to all of the information you need to make your selection. They can also advise you about any special promotions that are available and take care of getting you there and back. A travel agent can also advise you on cabin choices, dining arrangements, shore excursions, flights, pre and post touring options and more. Among the cruise lines that offering world cruises or extended voyages are: Holland America, Princess, MSC, Silversea, Crystal Cruises, Regent Seven Seas, Oceania, Cunard and others. Of course, cost will be a factor and that may determine which cruise line you choose and for what duration. Your travel agent can guide you in the right direction, depending on your budget. Itinerary: This is one of the most important considerations. Where do you want to go? Trip Duration: How many days at sea can you tolerate? Some people love days at sea to completely relax and kick back. Others become antsy and run out of things to do. Still others get uncomfortable when they don’t see land for several days. Ship Size: What size ship is best for you? A smaller expedition ship, a large yacht, a smaller luxury cruise or a large ship with lots of people and lots of things to do? Cabin Size and Location: Is a balcony important? Could you live in an inside cabin to save money? If motion is an issue, mid-ship on lower decks is the most stable cabin location. Amount of Time in Port: You will find that on longer cruises, a ship may stay in port for two or three days. This may be important to you if you want to see more of the countries you are visiting. What’s Included: As we’ve mentioned, some cruise lines include alcoholic beverage, gratuities, Wi-Fi, shore excursions and more - that’s a big savings on a longer cruise, so factor it into your calculations. Cruising can also be an option for a special occasion one winter – to celebrate a big birthday or an anniversary. If you’re a snowbird who owns a winter vacation property, you may want to consider renting it out one winter and take a cruise instead. While its not for everyone, long term cruising is increasing in popularity among snowbirds, and there’s no question that setting sail across the world’s oceans and exploring exotic locations is a unique way to escape the Canadian winter.